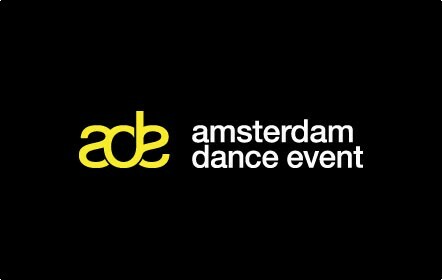 The Amsterdam Dance Event (ADE) returns for three days of conferences and parties this October, and pretty much everyone in dance music is invited. Once again, inthemix is an official partner of the massive meeting-of-minds, and we couldn’t be more excited. The ADE is celebrating its 15th edition with a staggering 700 artists doing their thing at 44 different venues. There are also 2,500 conferences expected, so it’s fair to say there’s plenty to see and do. Highlighting acts from the list of attendees is a somewhat futile exercise. Techno and house is perhaps the best-represented, with Sven Väth, Moodymann, Jeff Mills, Michael Mayer, Richie Hawtin and countless more making the trip. Trance titans Armin van Buuren, Paul van Dyk and Ferry Corsten will no doubt headline some of the biggest club events, while the likes of Kelis, Magnetic Man, Hercules & Love Affair, Tensnake and Kiwi legends Shapeshifter do the live thing. In a word – huge. As partner of the ADE, inthemix dispatched our roving reporter Katrina Loughrey to the conference in 2009, where she got chatty with some dance music superstars and reported from the frontline. Check out Katrina’s coverage here, then marvel at the awesomeness below. The 15th edition of Amsterdam Dance Event (ADE) runs from 20 to 23 October, with inthemix a proud official partner. Stay tuned for more updates. Kelis (US), Armin van Buuren (NL), Sven Väth (DE), Chuckie (NL), Dave Clarke (GB), Sasha (US), Paul van Dyk (DE), Roger Sanchez (US), Joris Voorn (NL), Daniel Haaksman (DE), Boys Noize (DE), Dubfire (US), Richie Hawtin (CA), M.A.N.D.Y. (DE), Riva Star (IT), Adam Beyer (SE), Ida Engberg (SE), Steve Bug (DE), Josh Wink (US), Markus Schulz (DE), Ferry Corsten (NL), Jeff Mills (US), Afrojack (NL), Chris Liebing (DE), Goldfish live (SA), Joost van Bellen (NL), Moodymann (US), Derrick May (US), Sander Kleinenberg (NL), Boemklatsch (NL) , Juan Atkins (US), Ellen Allien (DE), Dr. Lektroluv (BE), Shinedoe (NL), Don Diablo (NL), Flying Lotus (US), Monika Kruse (DE), Nick Warren (GB), Karotte (DE), Radio Slave aka The Machine (DE), Ryan Marciano & Sunnery James (NL), Girl Unit (GB), DJ Yellow (FR), Live: Hercules & Love Affair (US), Live: Tensnake (DE), Boris Werner (NL), Live: Redshape (DE), Dixon (DE), Melon (NL), Sasha Funke (DE), KINK live (BG), Terry Toner (NL), Paul Harris (GB), Lucien Foort (NL), Shermanlogy (NL), Danny Howells (GB), 16 BIT Lolitas (NL), Phonophani (NO), Bart B More (NL), Aeroplane (BE), High Rankin (GB), B.R.U.C.E. 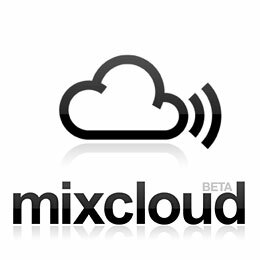 live (NL), Willie Wartaal (NL), Bomb The Bass (GB), Matthias Tanzmann (DE), Ekkohaus live (DE), Jesse Rose (GB), San Proper (NL), Michael Mayer (DE), Paul Hazendonk (NL), Leama (GB), Prinz (BE), Green Velvet (US), Full Intention (GB), Abe Duque live (FR), And.ID (Mobilee, DE) live, Einzelkind (DE) , Wareika (DE), Tom Trago (NL), Estroe (NL), 30 Jalabee Cartel (DE), Mark Pritchard (GB), Ambivalent (US), Magda (PL), Anrilov (RU), Arram Mantana (RU), Marco Resmann (GE), Social Disco Club (PT), Michel de Hey (NL), Arjuna Schiks (NL), The Advent live (GB), Heiko Laux (DE), Steve Rachmad (NL), Legowelt (NL), Schlachthofbronx (DE), Alex Dee (FR), ONNO (NL), Ben UFO (GB), Magnetic Man live (GB), 2000 and One (NL), Lorenz Rhode live (DE), Jamie Lewis (CH), Born To Funk (NL), Seamus Haji (GB), Gabriele Baldi (IT), Shapeshifter (NZ), Klipar (PT), James Holden (GB), Kate Wax live (GB), Ahmet Sendil (TR), Patrick Carrara (AE), Daniel Sanchez (NL), The Shapeshifters (GB), Extrawelt live (DE), Darko Esser (NL), Krause live (NL), Kraak & Smaak (NL), Per QX (GB), Dennis Ferrer (US), Ramadanman (GB), Golden Bug (ES), Alexander Kowalski (DE), Lauhaus (NL), The Subs live (BE), Marco Effe (IT), Praslea (PO), Miss Nine (NL), Dimitri (NL), Stephan Bodzin live (DE), Tim Green (GB), Brian Sanhaji (DE) live, Unexist (IT) live, Das Ding (US), Gomes (NL) and many more.